and in four colors: Antique Brown, Dark Bourbon, Aged Natural, and Tavern. The flooring comes in 6, 8, and 10 inch widths. All distressing is done by hand to provide a unique and aged look. After the distressing process, the flooring is sanded smooth with our state of the art sanding equipment. 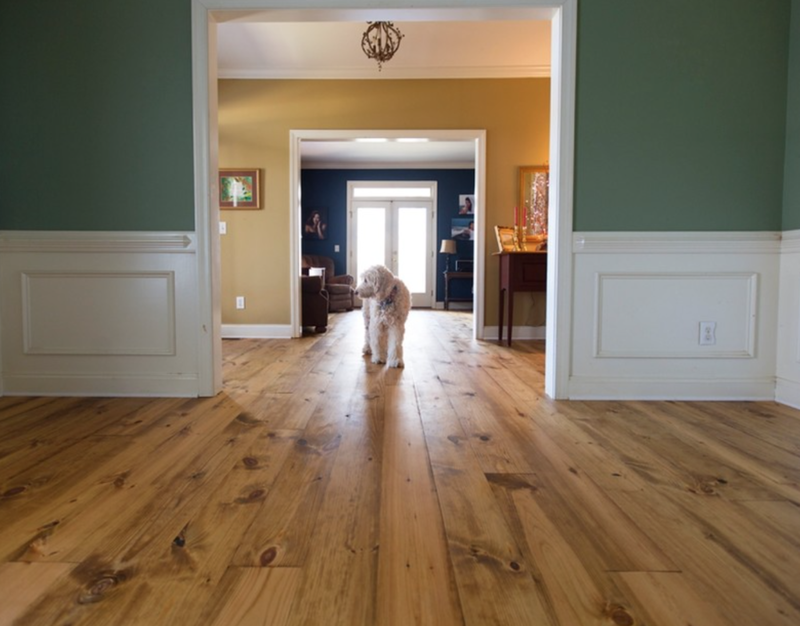 The flooring has a distressed look without rough edges. 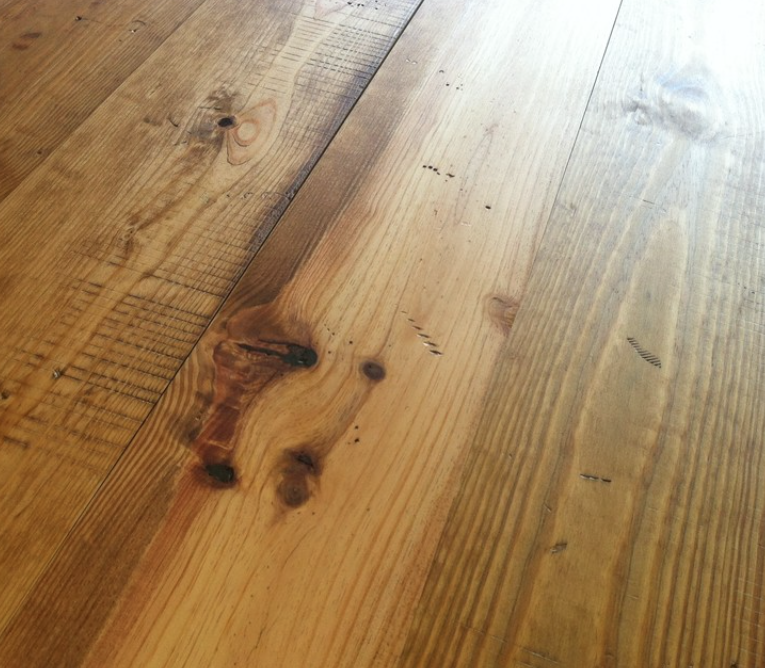 We also offer optional saw marks to give your floor a subtle authentic look. We recommend that 20% of your boards be saw marked; however, we do offer a full saw mark option where all boards are marked. 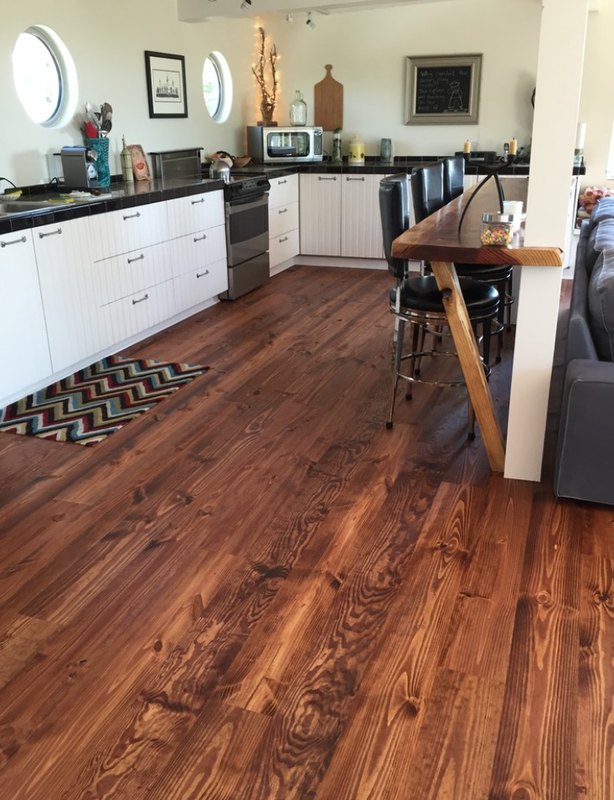 Scroll through our image gallery below to view our Tavern Select Prefinished flooring. 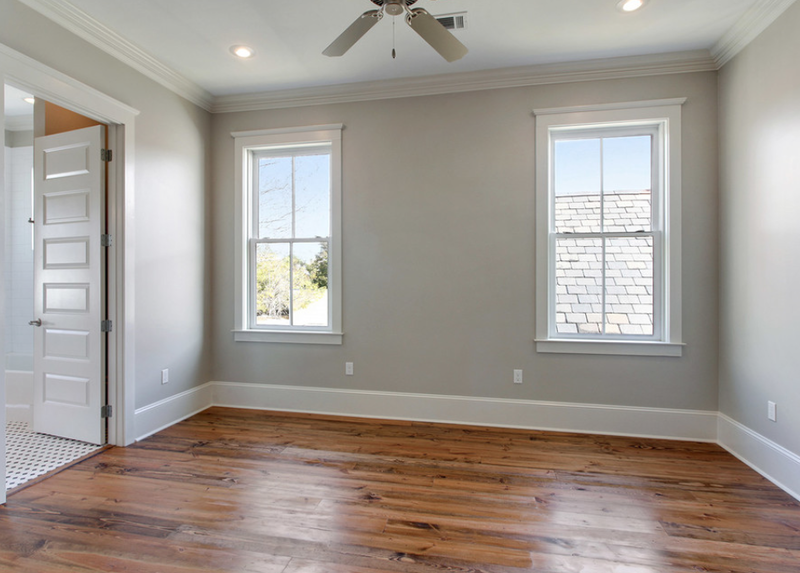 The color and length of the flooring is listed on the bottom left of each picture. More information about our color options can be found on HERE.